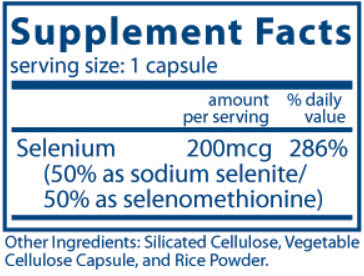 SELENIUM (SELENOMETHIONINE) is a trace element that is essential to the body in small amounts. 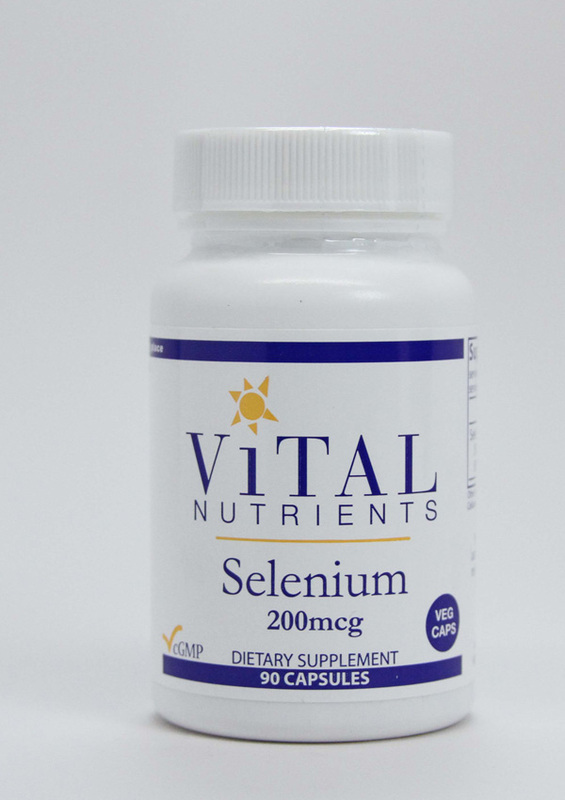 Selenium helps cells to function normally by supporting the action of several enzymes, particularly antioxidant enzymes and those involved in thyroid hormone metabolism. Selenium also supports the body's immune system. Recommended Dosage: 1-2 capsules a day, or as directed by a healthcare practitioner.